We have recently introduced an equipment rental program. The purpose of the program is to make our products available to potential customers who wish to use our services but are not in a position to buy at present. However, the program allows customers to purchase the equipment at any stage, with a generous allowance for the rental payments already paid. 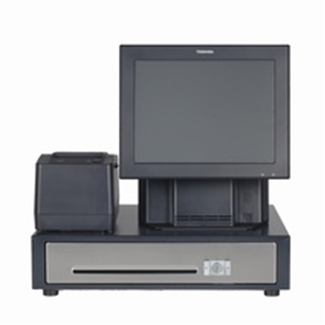 Products which may be rented in the program include point of sale terminals and weighing equipment. All support and product maintenance which is normally included in our support and maintenance contracts is included. The minimum period of hire is 3 months, and the rental payments for the first 3 months are paid up front. A Direct Debit is set up for future payments, and payments for subsequent months are taken on or about the 18th of the prior month, for example, payment for July will be debited on or about 18th June. The rental agreement may be terminated by either party after the initial 3 month period. One months notice of termination must be given in writing to the other party. An email notification will suffice, provided a reply email confirming receipt of notification of termination is received. The rental agreement will have a schedule which includes start date of rental, monthly rental amount, 3 month rental advance payment and optional purchase price of the equipment. The rental equipment may be purchased at any time by the renter. The amount to be paid is the purchase price less 70% of total paid in rental payments. All products supplied under the terms of this agreement remain the property of Stephen O'Brien Retail Systems Ltd. until related invoices are paid in full.